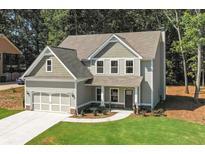 Below you can view all the homes for sale in the Sweetwater Bridge subdivision located in Douglasville Georgia. 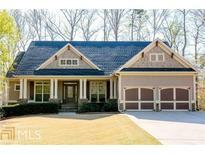 Listings in Sweetwater Bridge are updated daily from data we receive from the Atlanta multiple listing service. To learn more about any of these homes or to receive custom notifications when a new property is listed for sale in Sweetwater Bridge, give us a call at 404-998-4163. Terrace Level Feature Family Room Bedroom, Home Office, Full Bath & More Unfinished Space For Additional Storage. Screened Porch, Deck & Patio! MLS#6537292. Keller Williams Realty Signature Partners. Upstairs Bedroom W/ Full Bath Is A Perfect Retreat While Terrace Level Includes A Full Spacious Kitchen, 2 Bedrooms, Full Bath, Living Room, Laundry & Gym W/ Separate/Direct Entrance. Amazing Home MLS#8559602. The Realty Group. Upstairs Bedroom W/ Full Bath Is A Perfect Retreat While Terrace Level Includes A Full Spacious Kitchen, 2 Bedrooms, Full Bath, Living Room, Laundry & Gym W/ Separate/Direct Entrance. Amazing Home MLS#6530795. The Realty Group. Front Porch And A Covered Patio Are Also Offered With This Home. MLS#6529934. Bhgre Metro Brokers. Great Value! Move In Before Summer! MLS#6524888. Maximum One Greater Atlanta Realtors. Huge Flat Fenced Yard With Patio. A True Gem! Meticulously Maintained! MLS#6521322. Weichert, Realtors - The Collective. New In 2018: New Int Paint, Appliances, Salt Sys, Pool Pump & Motherboard, Master Bath Remodel, Backyard Sod. MLS#6125792. Re/Max Unlimited.